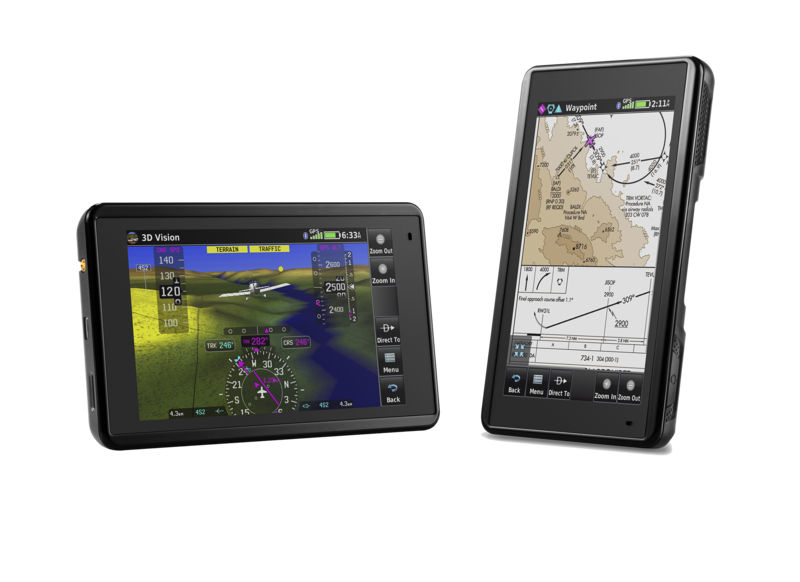 Garmin is pleased to announce the aera 660, a new cost-effective, feature-rich, purpose-built aviation portable. The compact 5-inch capacitive touchscreen boasts a bright, sunlight readable display complete with rich, interactive maps and a built-in GPS/GLONASS receiver that can be viewed in portrait or landscape modes for optimum customization. The aera 660 encompasses many of the features of the renowned aera and GPSMAP aviation portable series, adding new Connext wireless capabilities, Garmin WireAware wire-strike avoidance technology and more. New cost-effective database options along with built-in Wi-Fi database updating capabilities allow customers to more easily access the most up-to-date data, including daily U.S. fuel prices. Bluetooth supports the display of ADS-B “In” traffic and weather from a variety of sources, including the GDL 39/GDL 39 3D, Flight Stream and the GTX 345 ADS-B transponder. The list price for the new aera 660 is $899. Comprehensive chart options provide pilots with an easy path to a paperless cockpit in a compact device, which may be qualified for use as either a Class I or Class II Electronic Flight Bag (EFB). Geo-referenced IFR enroute, VFR sectional charts and Garmin FliteCharts®terminal procedures are available as part of the expansive database offerings associated with the aera 660. Using FliteCharts, pilots can easily view departure procedures (DPs), standard terminal arrival routes (STARs) and geo-referenced approach charts. Additionally, Garmin ChartView™ enables the display of Jeppesen charts with an optional subscription from Jeppesen. U.S. fuel price data is easily accessible on the map or within the airport directory database, so it’s easy to identify the lowest price of 100 LL and Jet A in the area. 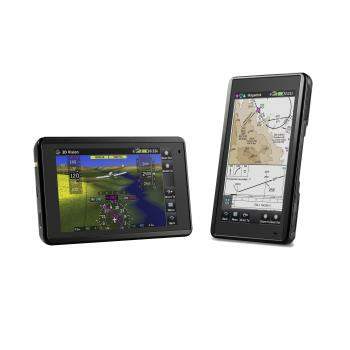 Similar to features found within other Garmin products, patented Smart Airspace™ is included in the aera 660 feature set. Smart Airspace highlights the airspace nearest the aircraft’s current altitude and de-emphasizes non-pertinent airspace so pilots can quickly identify their location relative to the airspace around them. Using the optional global navigation database and many regional charting options, the aera 660 provides worldwide versatility. The aera 660 is available in 4 regional versions with select regional data preloaded for North America, South America, Atlantic and Pacific regions. While each version is only available for purchase from Garmin in the corresponding region, regional databases can be purchased for any unit from any region. For pilots in Europe, the Atlantic version of the aera 660 includes the new Enhanced Basemap, which provides VFR operators with more visual landmarks and intersections that are often used when contacting air traffic control. Additionally, when selecting a street or intersection on the moving map of the aera, street names populate so it’s easier to identify aircraft location while navigating over an urban or unfamiliar environment.